So, second chances in life do happen and this sure was a great one; I love this plate! He has a beautiful face with even more beautiful eyes and was able to hold really still in this position which was a comfortable one. Exposure Time: 25 seconds. 2 UV TL lights on the left of him. 2 pilot lights, one on each side of him. 1 UV TL light kept horizontally closely in front of him, a little higher than his head. Fixer: Sodium Thiosulfate 300gr to 1 liter of water. This entry was posted on December 7, 2009 by Contrastique. 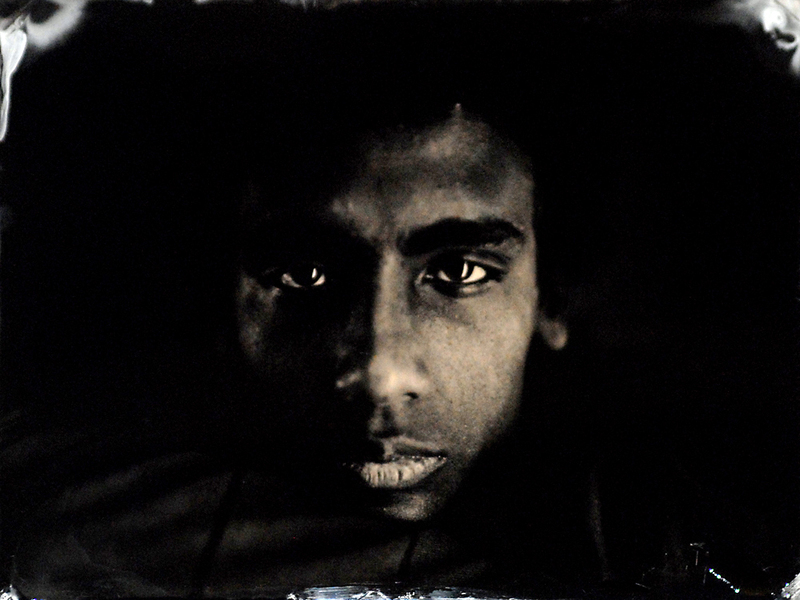 It was filed under Wet Plate Collodion-Photos and was tagged with wet plate collodion.